As September begins, many recent high school graduates are leaving home and heading off to college. Parents who help their kids pay for college believe there's tremendous value in pursuing higher education. It's a worthwhile investment because you can't put a price tag on that sort of knowledge, experience, and exposure to new ideas. Health care organizations that invest in training for their in-house medical imaging engineers share a similar mentality, although the return on investment in this case is much more direct and tangible. Allowing the people who service medical imaging systems to expand their knowledge of maintaining and repairing equipment helps your facility run smoothly, portrays a positive image, and protects your bottom line. Service contracts with the manufacturers of your systems often come as part of the deal when new equipment is purchased. When that contract expires, however, it's time to decide whether you want to take on the hassle of renegotiating. 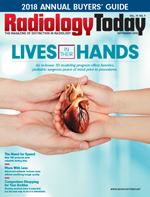 Many clinical engineering departments would rather service medical imaging equipment such as MRIs, CT systems, and ultrasound units with their own people. Not only is it more cost-effective but there's also no need to wait for a third-party service technician to show up, which means everything is back up and running sooner. But your in-house imaging engineers may need training to ensure they have the confidence and knowledge to efficiently service your key systems. Larger health care organizations with medical imaging systems from multiple manufacturers may focus on a specific modality or, in some cases, a certain original equipment manufacturer (OEM). What happens if the team member who focuses on MRIs is sick or the engineer who services Siemens' equipment is on vacation? Cross-training can benefit your facility and keep medical imaging systems from experiencing lengthy and costly downtime. Understanding the inner workings and intricacies of different modalities and OEMs is like learning a foreign language. Yet, with the right amount of training, your engineering department can diversify its knowledge, making your organization more efficient and flexible. When imaging equipment goes down, it means patients aren't being served and schedules are being disrupted. That directly impacts finances in a substantial way. For example, here's what could happen if a CT system was inoperable for about five hours on a given day. Let's estimate the average reimbursement for a patient exam to be around $1,700. It's reasonable to assume many hospitals are doing up to four CT exams an hour. This would result in $34,000 in reimbursement that your health care organization does not receive and excludes the cost of repairs. The financial impact of losing cardiac and angiogram-related exams because of system failures is even bigger and poses greater significance to patient care. If just a few patients go elsewhere to get the exam they need, your organization could miss out on $40,000 or $50,000. It will be even more if the patient gets further treatment from a competitor that would have taken place at your facility. You may be able to rebound from your imaging equipment being out of commission for a few hours, but if the situation lasts a full day or two, there will likely be permanent damage to the organization's budget. It's plain to see how having well-trained, in-house imaging engineers helps avoid such concerns. The less downtime there is, the better your patients are accommodated with less financial impact to your department's budget. Being able to say your engineers have earned a certification after being trained to a certain level of service is certainly a nice notch in your department's belt. Beyond that certificate, however, is an even more important reason to have imaging engineers pursue training. Proper training follows OEM-established processes and protocols. When learning how to change an X-ray tube, for example, the trainer should precisely explain the procedure verbatim to the OEM's instructions. This is vital, especially for accreditation from organizations such as the ACR and The Joint Commission. Your health care facility's ability to take payment from insurance companies and government programs such as Medicare and Medicaid hinges on these accreditations. The ACR and The Joint Commission accept the fact that many hospitals and clinics use in-house engineers to service and maintain medical imaging systems, but they require the equipment to be serviced to the exact standards of the OEMs. Manufacturers such as Siemens provide documentation that should be filled out as preventive maintenance (PM) procedures are completed. The accreditation bodies want to see that those documents are being used and protocols are followed. Auditors may question engineers to determine whether they're adhering to OEM guidelines and understand how to carry out the proper processes. There was a time when I'd ask trainees whether they wanted to go through PM instructions during class. Many would decline, but not anymore. Now, most want complete training on PM procedures because it's become imperative in terms of accreditation. Another reason training imaging engineers to follow OEM practices is beneficial is because it reinforces what they'll find when they eventually have to fix or replace something. The instructions they usually follow will match what they experienced during training. The ability to recall what was learned during training is crucial to getting full value out of investing in the clinical engineering department's ongoing education. We've all taken tough courses and maybe even received good grades, but, months later, everything we supposedly learned seems to have disappeared. The same thing occurs when imaging engineers complete training. It could be several months or longer before they'll have to use the knowledge that they gained through training. So, what's the best way to avoid losing it if you aren't constantly using it? Lecture-based learning is excellent for understanding theory and learning the basic concepts of imaging service. However, while there are certainly different learning styles, listening to someone explain how to service CT or MRI systems is unlikely to be the most effective way to get the information to stick. Look for training opportunities in which your engineers will discuss, watch, and practice hands-on procedures and techniques on the equipment they are being trained on. You can sit and listen to someone explain how things are done all day long but, if you spend an hour watching someone repair a system, your retention rate will be much better. If you spend a half hour getting a hands-on experience with the parts and equipment, retention will be higher yet. During my medical training, we had the three-step rule: see one, do one, teach one. The idea is that after watching someone complete a task, you'll have learned enough to do it yourself. After you're able to do it, you should be able to teach someone else, demonstrating true mastery. I've made this three-step process my personal approach to training. It extracts the full value of immersive, applied, physical training. As an added benefit, when imaging engineers return from training, there's the potential to pass on what was learned to their coworkers, which makes your health care organization's service team even stronger. — Kenneth Hable, MD, BSRT, is the director of engineering and training at Technical Prospects, serving as an expert in Siemens Healthineers parts and equipment as he works to develop, review, and teach coursework for CT and vascular systems as well as syngo software.